I work with all animals, one-on-one, or small group sessions to help people better understand and resolve issues with their beloved animal friends. I have been teaching animal communication/ listening since 2007 including a year of classes in 2014 at Spirit Book bookstore in Jackson Hole, Wyoming and a 6 week class for Central Wyoming College. You can also find me in Teton Spirit Magazine. I have been doing communication since I was a young girl. I started doing this professionally in 1998. Animal Communication is an intuitive and spiritual connection, a two-way telepathic communication or reading and or listening to consciousness . I connect using these abilities via long distance or in person to help you better understand the messages your animal is giving you. Animal Communication is used to further the connection to our animal companions and strengthen human-animal relationships. Most ancient civilizations and our own ancestors, knew how to commune with ALL of nature. Native Americans, The Kabbalah, Pagans, Wiccan's etc. Knew how to use this sacred tool. Communication with your animal can help solve behavior problems and help with health issues. Animals ALWAYS impart very personal information to me about your Life. I will learn about events and things that have happened in the past where there is no possible way for me to know otherwise. They will point back to you because they are mirrors, not sponges. BE READY because that information will be very personal. It is a way of validating that we have a connection. I hold all of this information in total confidence. An animal communicator relays messages between you and your animal friend. An animal communicator can perform a medical intuitive health scan to find physical discomfort or pain to help you and your animal friend, as well as assisting your veterinarian, with health problems. I have worked with vet clinics and adoption centers in Jackson Hole Wyoming to assist where ever I can. All people have the ability to communicate with animals; however, in some this skill is more developed. I practice meditation as a form of observing the mind and being able to hear more clearly, the messages that come thru. Anyone can learn to communicate with animals. All it takes is a willingness to learn a few techniques and practice the art of playfulness....yes playfulness is an art ! 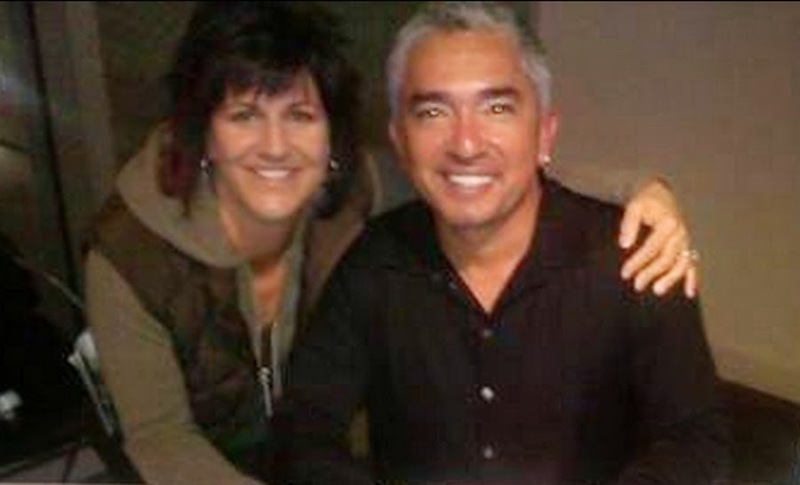 Several years ago I met The Dog Whisperer, Cesar Millan, and I use many of his techniques of communication in my own process of working with animals. Animals retain their natural instincts as well as knowing WHY there are here in this realm. There is no EGO involved in any animal - personality, yes !